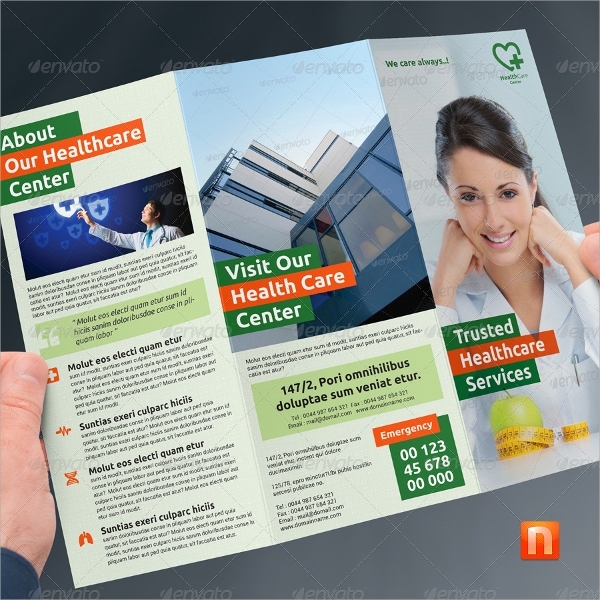 Services and facilities in the healthcare industry are hugely marketed and advertised in brochures. 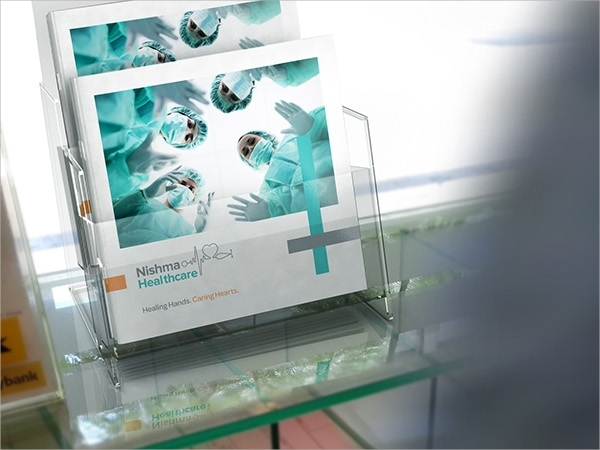 As the healthcare sector is so vast and range of services so huge, it makes complete sense for brochures to be an industry preference. 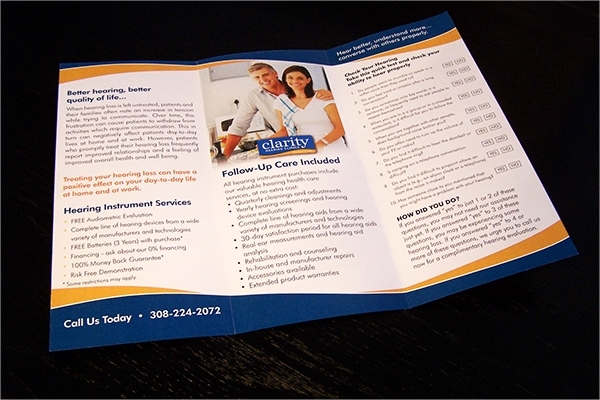 One of the main advantages of Advertising Brochures is that they can house much information (images and text) and are cost-effective. 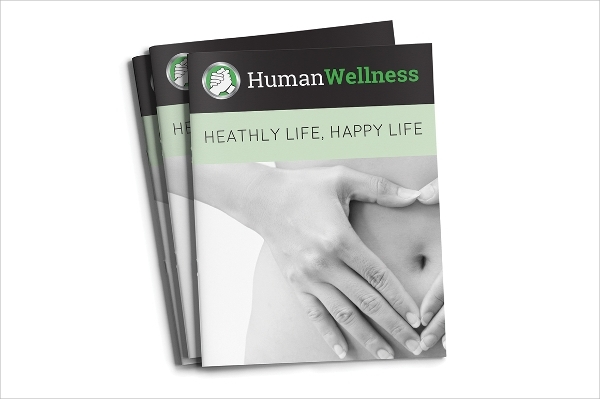 Put together text and images against a backdrop of a readymade template, and brochure is ready to print and be distributed. 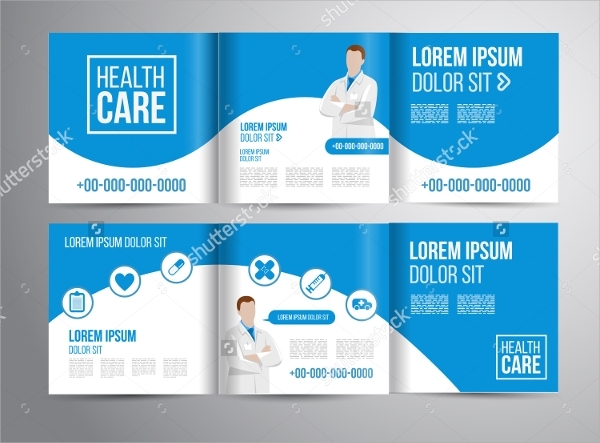 In this article, we present to you some of the latest designs of brochure templates trending recently in the healthcare sector. 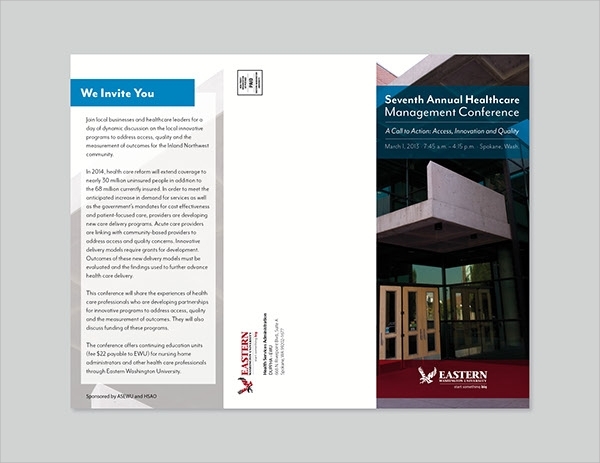 This bi-fold template, specifically designed for the healthcare industry, is equipped with a modern design and all of the features. This template design is high-resolution, easy to edit and can be customized using your own text and images. 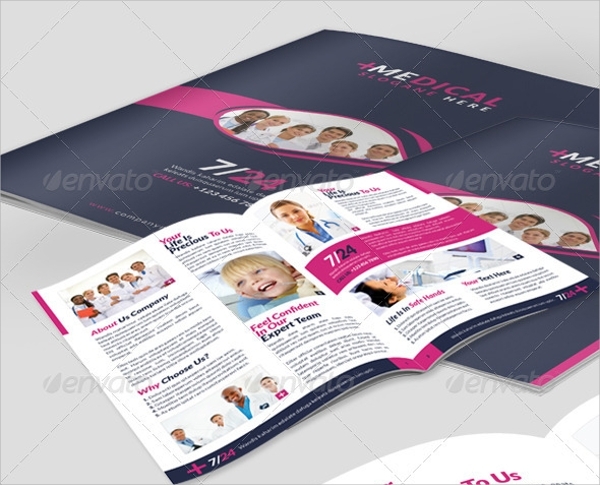 This contains a set of brochure and poster templates which have got a beautiful layout and design. The files are fully editable and you can fill them up with all kinds of desired text and imagery. 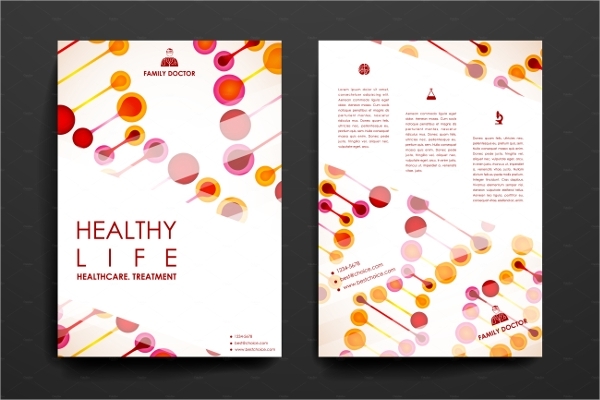 This brochure template design is the perfect choice to be molded into a brochure for any healthcare company. 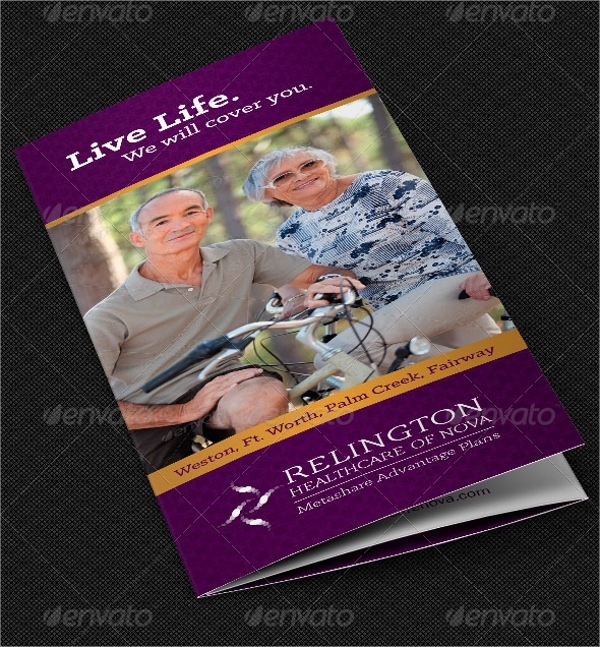 This is a tri-fold brochure template (11’’x 8.5’’). The PSD files are editable and can be revised to fit your company’s requirements. 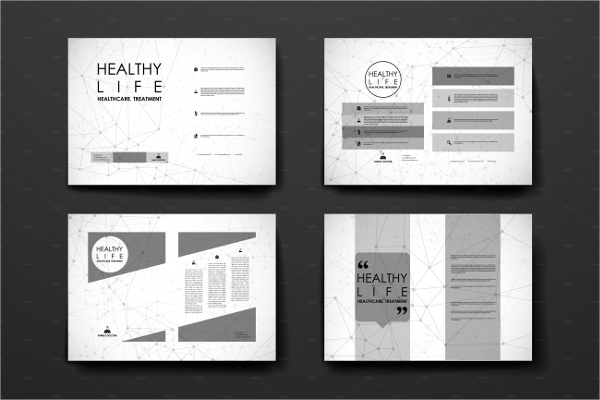 This multipurpose brochure template has been developed in InDesign. 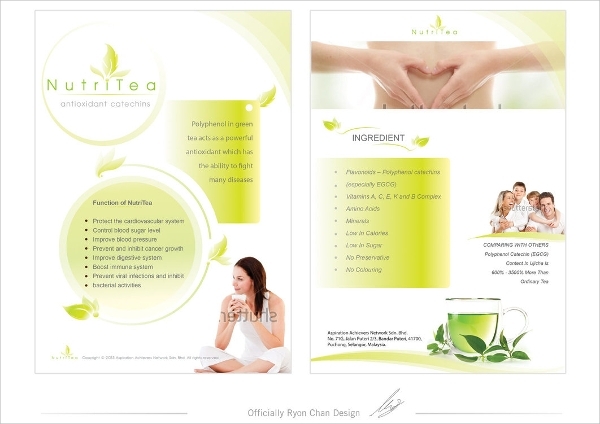 This brochure template is fit for business promotion and marketing purpose. 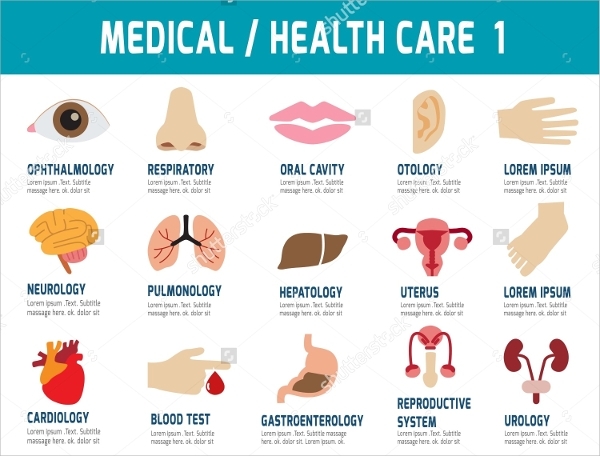 It is replete with features to help accommodate information about healthcare facilities. 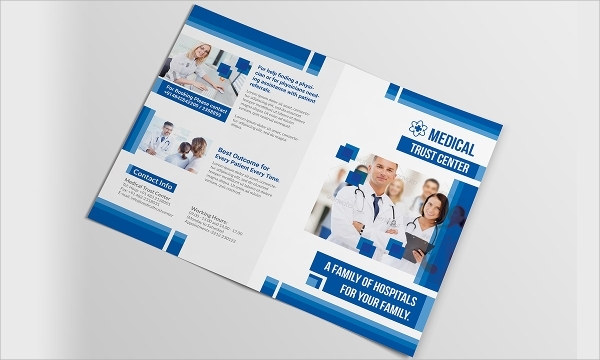 This brochure template can also be used to design and develop a flyer for a medical outlet. You can use this template to highlight doctors’ specialties in your healthcare facility. 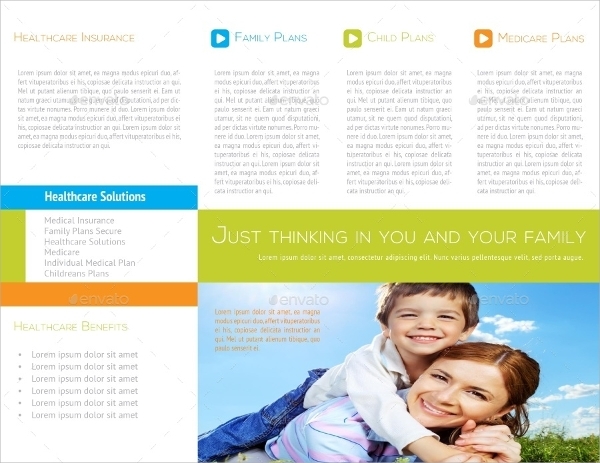 This template is fit for healthcare outlets searching for a suitable design for their tri-fold brochure. The template is easy to edit and is print-ready. The measurements are 8.5” x 11” (215.9mm x 279.4mm). 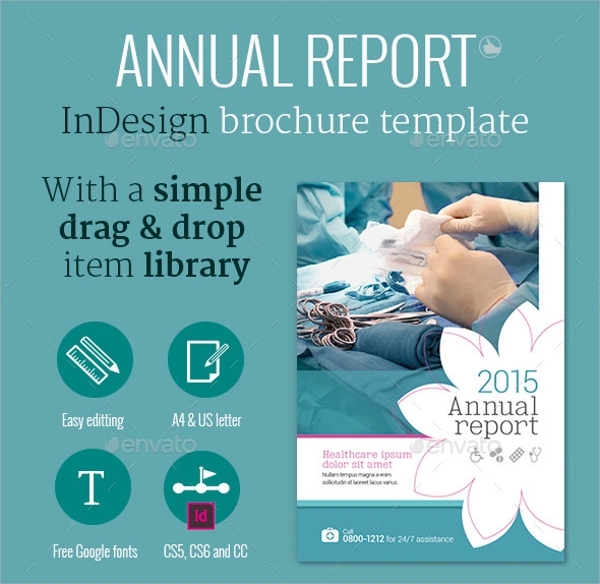 This high quality template can be used for creating a healthcare poster or brochure. 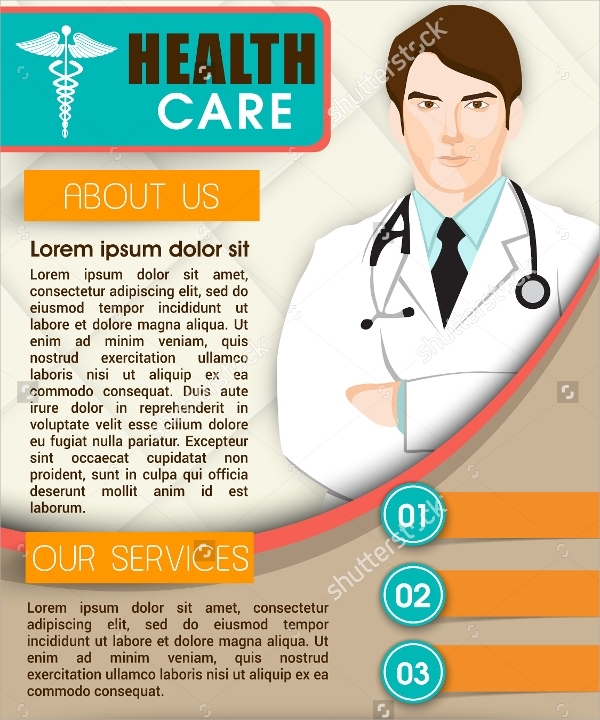 The design and layout has been crafted specifically according to the standards of the healthcare industry. 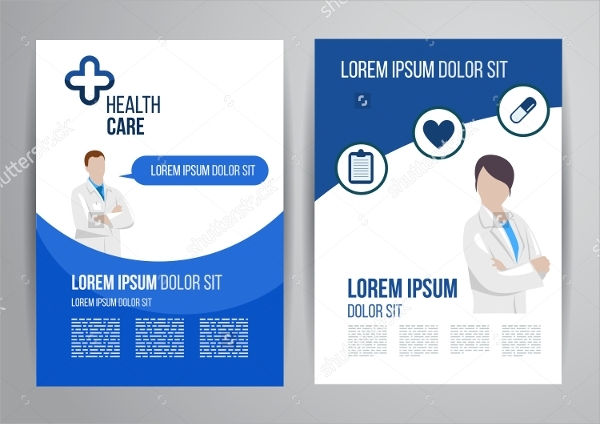 Whether it is a healthcare brochure, flyer or poster, this particular template comes replete with healthcare icons, vectors and other elements to help you create the best design adhering to your requirements. 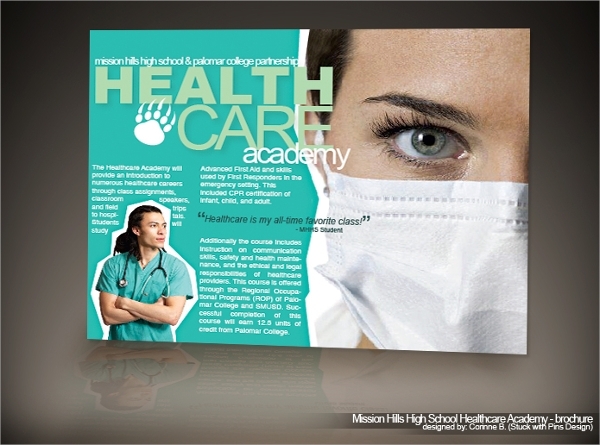 This brochure template is a great choice for any professional who wants to market and advertise an educational facility which offers specialty in healthcare studies. It is apt for schools and colleges. 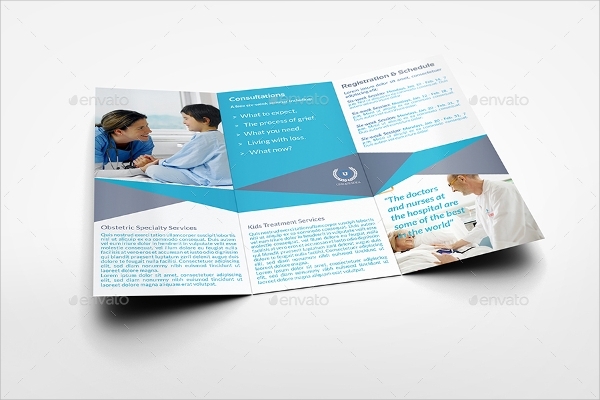 This is a great multipurpose tri-fold brochure designed to cater to the needs of the healthcare sector. The file size is 8.5×11 inches. 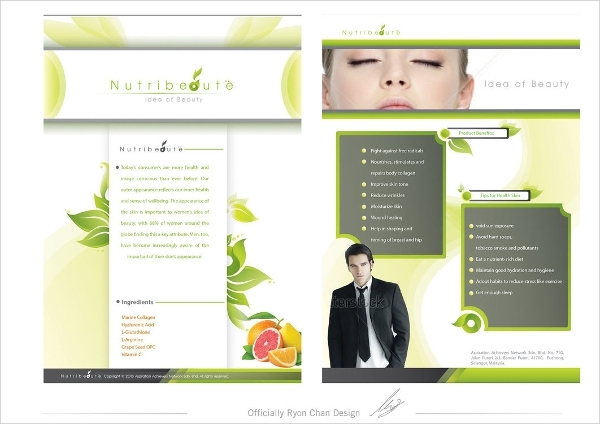 It is editable and you can customize it to create the brochure of your choice. 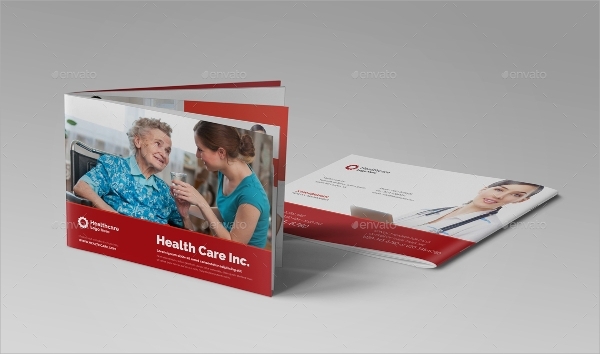 The aforementioned healthcare brochure templates are full of options and designs to assist you crafting and creating healthcare brochures of your liking. You can revise the design and other elements in Photoshop and introduce your own creativity into them if you wish. 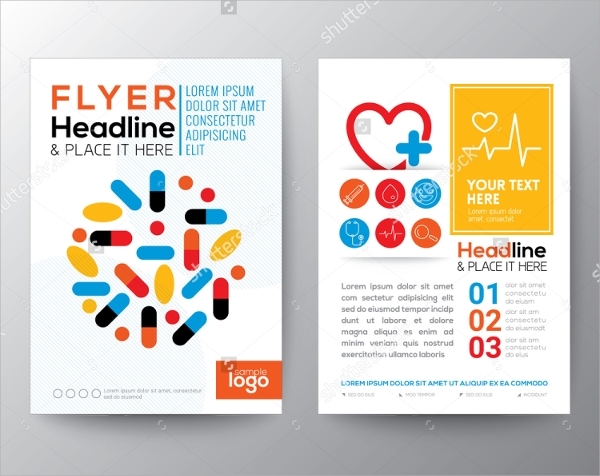 With these templates, you will be able to make great brochures for your healthcare brand.